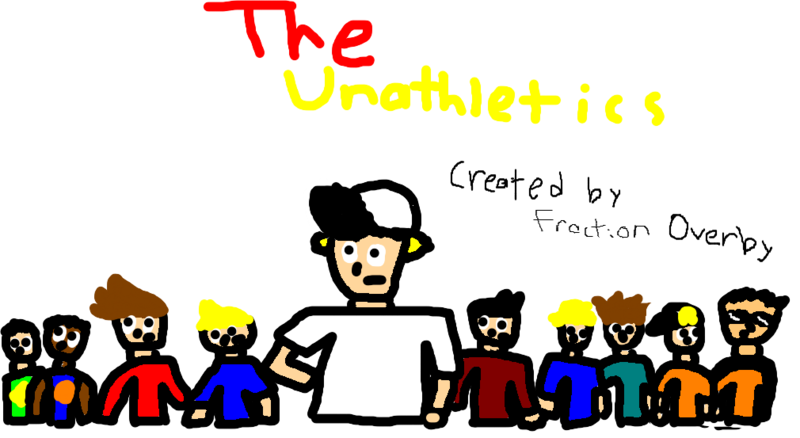 So, after all this hoopla about our new cartoon- The Unathletics, we are not only releasing a trailer today on the ONN channel, but we are also going to release a promo art for you guys. I really liked this picture, and I thought that you would like it. DON'T FORGET, THE CARTOON PREMIERES THIS FALL HERE! I also went ahead and embedded the trailer here as well! We're going to have one or two more of these trailers featuring more characters (cause ONE of our actors isn't very pleased with their lines in this trailer).